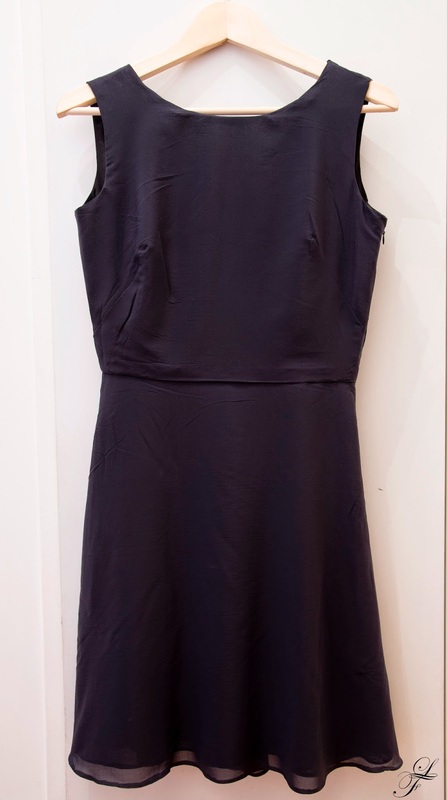 B-rouchka's sewing: Blue Guest Dress II. I did not have much time ahead and most of all wanted to avoid another flop. So let’s go with the known. 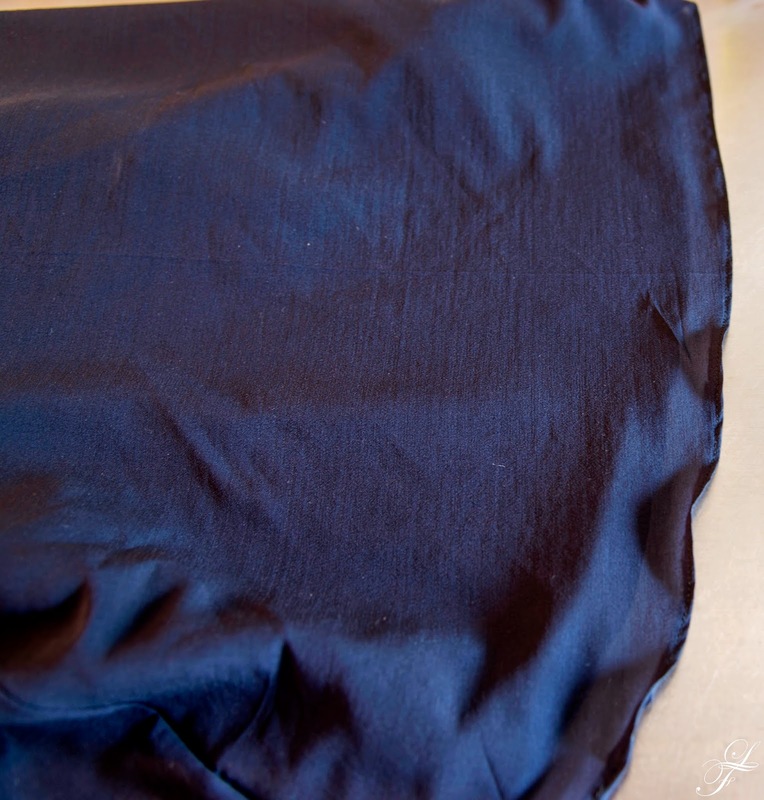 I bought 3m of dark blue silk muslin which was slightly transparent, so it was pretty clear a double layer would be necessary and decided to re-use the Butterick 6016. I have successfully tested it and thought that with the appropriate accessories, this would work. 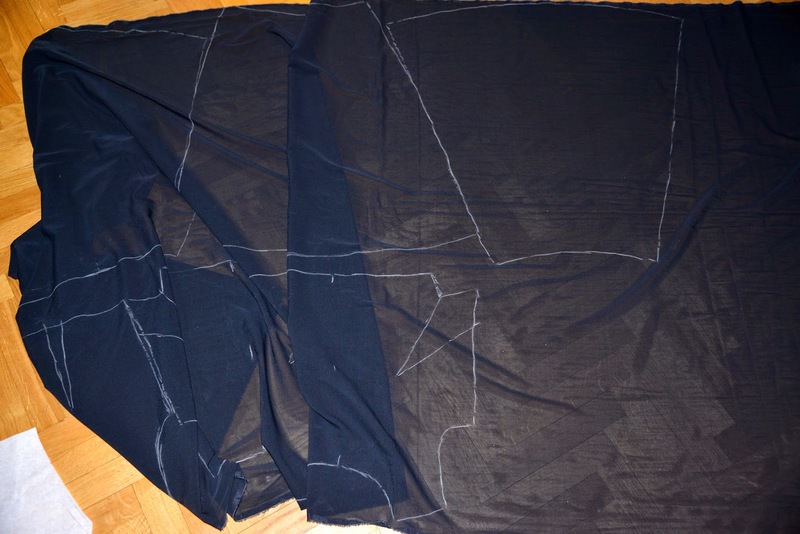 Since I would need little bit of fabric for a purse, I cut out the skirt in double, the bodice lining is in black cotton-silk sateen. It also helps to maintain the form more than the muslin itself. 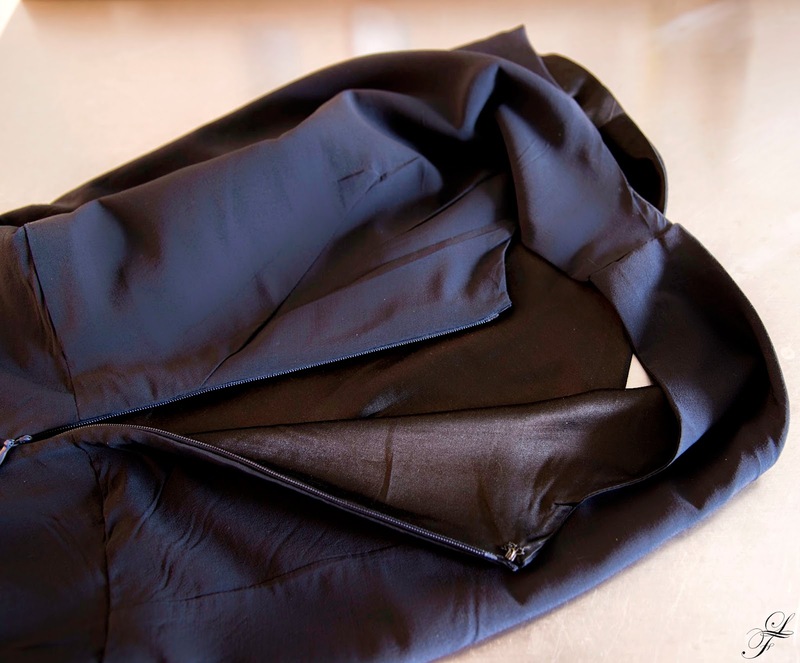 The sewing went quite smoothly, I did not use any interfacing fearing it would be visible on the inside. 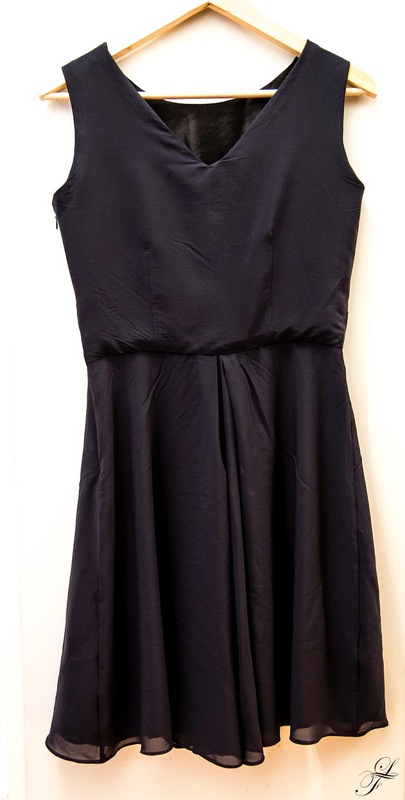 I only used organza strips to maintain the fabric around the zip and a bias strip to maintain the waist. actually no, the baby hemming is not completed: when testing it I realized it made the hem rather stiff, so I only folded the fabric once. Fortunately, the muslin almost does not fray, so this should work without problems. 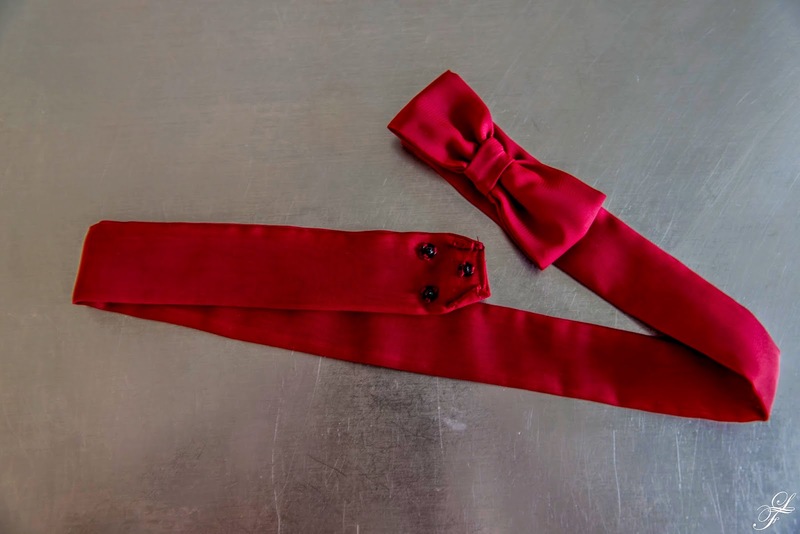 The dress will be accessorized with a red bow belt (and red shoes). Et voilà, my first silk dress completed. And in action! Unfortunately, it was quite cold that day, so I was wearing a black jacket over it.